First entry in a series. Anyone familiar with the character files books that comic companies used to put out? Official Handbook of the Marvel Universe. 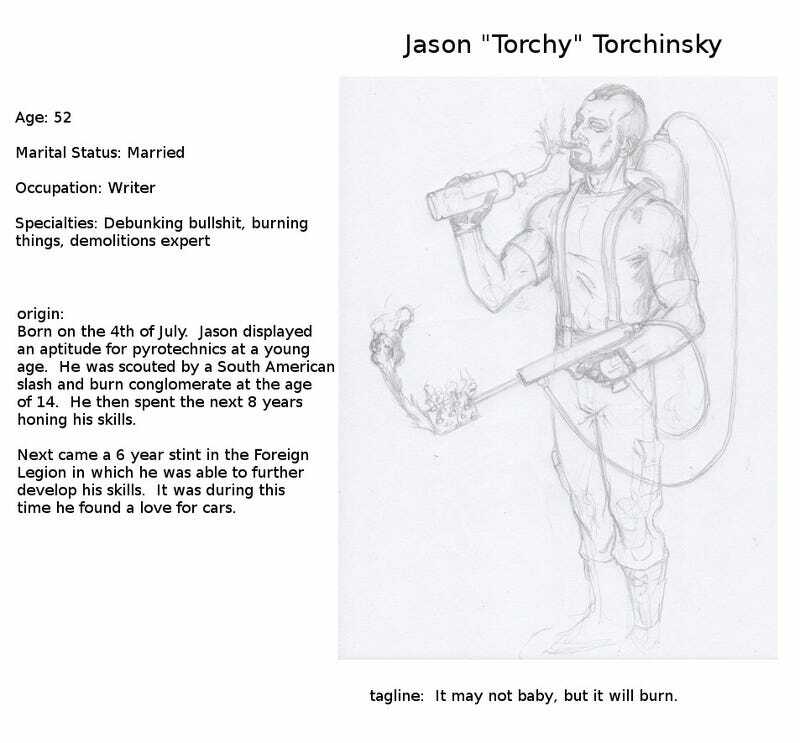 I had the idea to do these fictional bios for our Jalopnik writers(inspired by Archdukes tales and PG's escapades). I will try to do more finished versions and reworked one for Torchy since I ran out of room to do his feet. Also, if anyone skilled with photoshop would like to format them so they look more like the above examples, let me know.